One of the great things about competitive presidential campaigns — as opposed to simple coronations of the front-runner — is that different ideas about how to solve the nation’s problems can be raised, and discussed, by the different candidates. Sometimes the ideas are good; sometimes they are bad. 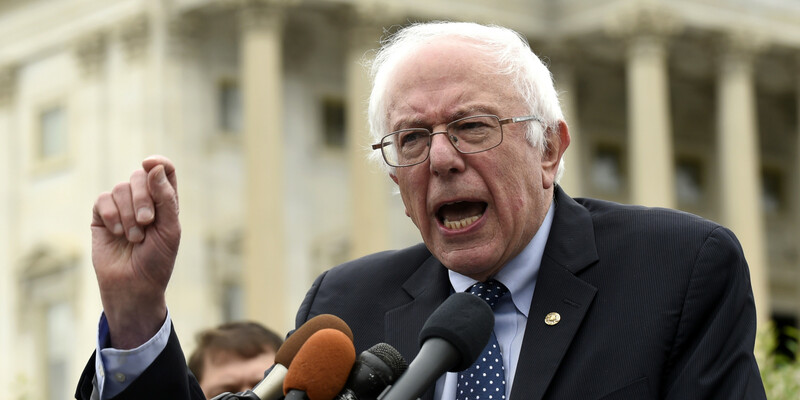 Although most of the attention this year has been focused on the scrum of Republican candidates vying for attention, on the Democratic side socialist Bernie Sanders is holding up his end of the bargain, too. One of his more interesting proposals is to allow the U.S. Postal Service to provide limited banking services. The rationale for the proposal is that, in many poor neighborhoods, banking services are in chronically short supply. Sanders says that traditional banks don’t want poor people as customers, which means people must resort to “payday” lenders or check-cashing outfits that charge much higher interest rates and higher fees than traditional banks would charge their standard customers. Why not allow the Postal Service to offer savings and checking accounts, check-cashing services, personal loans, and other modest banking options? It turns out that, in many countries, postal services already offer such services, and for a time postal-savings options were available to new immigrants to the United States, too. And, Sanders notes, the U.S. Postal Services has offices just about everywhere. I applaud Sanders for focusing on the plight of the poor in America and for shining a light on a problem that many people don’t even perceive. If you live in a suburb where bank branch offices are found at just about every intersection, and those banks are pathetically eager to sign you up for every conceivable banking service, you can’t imagine there is a banking shortage. But if you are poor, and you live in a neighborhood where the traditional banks are absent, imagine how it affects your ability to pull yourself up by your bootstraps. Even if you’ve got a job, you’ve got no checking account into which your paycheck funds can be electronically deposited by your employer. You cash your paycheck with an outfit that takes a chunk of your hard-earned wages and you carry around cash, hoping you can make it stretch until the next payday. You’ve got no credit rating to fall back on, and if you run short on funds your only option is a lender whose interest rates will make it difficult to ever fully repay the loan — and suddenly you’re trapped in a web of debt with few options. It’s an issue that deserves attention, to be sure, but the idea of allowing the U.S. Postal Service to offer banking services gives me the willies. The Postal Service is supposed to be the expert on delivering the mail, but it can’t even make that important function a going concern. It’s getting creamed by the competition and running up billion-dollar shortfalls. It’s also highly politicized, with Congress interfering with sensible cost-cutting measures like closing tiny post office outlets. I don’t care how things work in other countries: in the United States, there is nothing in the performance of the U.S. Postal Service that suggests that we should trust it to perform banking services, no matter how modest. And here’s another key consideration: the whole idea of the U.S. Postal Service banking proposal, as outlined in the Atlantic article linked above, is that the banking services “would remain affordable because of economies of scale and because of the existing postal infrastructure in the U.S. Plus, in the absence of shareholders, they would not be driven to seek profits and could sell services at cost.” And therein lies the rub, eh? The U.S. Postal Service already has “economies of scale” and an “existing postal infrastructure and still runs billion-dollar deficits doing what they are supposed to do well. Now we’re going to have post offices that have no banking experience offer banking services “at cost” — whatever that means — and make loans and handle people’s money? The lack of banking services in poor neighborhoods is a problem, but having the broke, and broken, U.S. Postal Service assume the responsibility of providing banking services in those neighborhood isn’t a solution — it’s just a way to make the Postal Service’s financial problems and constant deficits even worse. I give Mr. Sanders credit for highlighting a problem, but I put his postal banking proposal into the “bad ideas” category. Here’s a sobering statistic: according to the latest Credit Suisse report on global wealth, if you have net assets of $3,650, you are in the top half of the world’s wealthiest people. Sad, isn’t it? Even though the amount of global wealth grew by more than $20 trillion in the past year, you can qualify for the top half of the world’s wealthiest people if you have simply accumulated what many Americans earned at a summer job as a lifeguard or a waitress during one of their high school years. And that $3,650 figure includes the value of your home and all of your other assets. To get into the elite Top Ten Percent of the World’s Wealthiest People category, you need only have collected $77,000 in net assets — and the people in that category, together, hold 87 percent of the world’s wealth. Although the Credit Suisse report talks about the world’s wealth, the message it conveys is really about the world’s poverty. The Washington Post website carried an article a few days ago that has provoked a lot of comment. Entitled “This is what happened when I drove my Mercedes to pick up food stamps,” it tells the story of a middle-class woman who falls into poverty — at least, poverty of a sort. It’s a sad story, but also the kind that naturally raises questions. The woman grew up in an affluent suburb, goes to good schools, and gets good jobs. She meets a guy, gets pregnant, then gets married — but her husband loses his job, they’re saddled with a mortgage that is more than they can afford, and she has twins who are born early and need expensive formula. Ultimately, she ends up signing up for Medicaid, food stamps, and the Women, Infants and Children Special Supplemental Nutrition Program. The woman recounts embarrassing anecdotes. She’s got to answer a lot of questions before she gets the aid. She’s afraid an apparently well-meaning older man will give her money, but instead he makes a friendly religious pitch and she takes off to avoid further contact. A busybody woman questions her purchase of root beer using food stamps, and the check-out girl stands up for her. And finally, one day, she has to take her husband’s Mercedes — a 2003 Mercedes Kompressor — to pick up her food stamps. No one said anything, but they did stare at her . . . and to this day it’s the most embarrassing thing that has ever happened to her. They kept the Mercedes because it was the one reliable thing in their lives. And now, after years of her husband being unemployed, he’s found a good job that pays well, and she’s going back to grad school. She says that “President Obama’s programs — from the extended unemployment benefits to the tax-free allowance for short-selling a home we couldn’t afford — allowed us to crawl our way out of the hole.” She closes the story by noting that they still have the Mercedes. Thank God the combination of years of unemployment benefits, food stamps, and a federal program that let them get rid of a bad house purchase let them keep their Mercedes! As I said, it’s a story that raises many questions. If this woman grew up in an affluent suburb, where was her apparently well-heeled family during this period of her falling into Mercedes-owning “poverty”? How could her husband have remained completely unemployed for years, as opposed to taking any job that would produce some income? 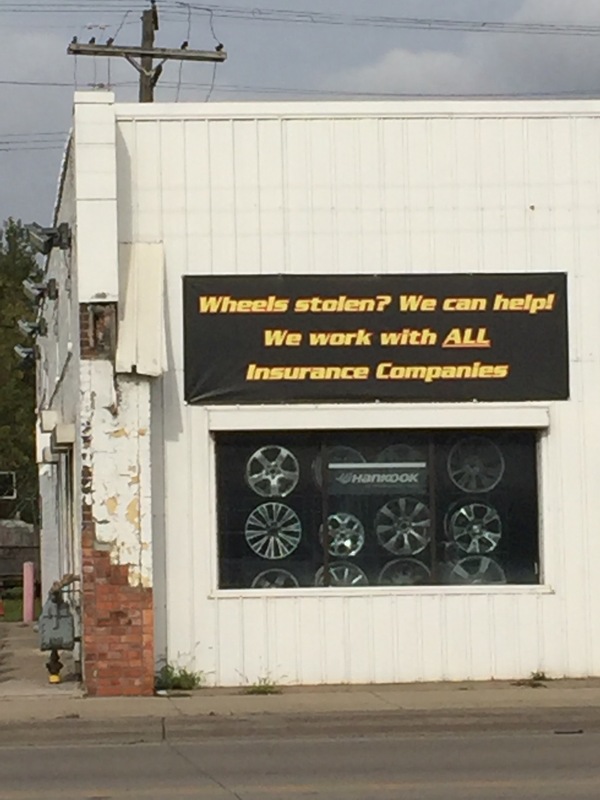 If he wasn’t working at all, why did they need two cars? Why didn’t she make him go get the food stamps, perhaps to motivate him to get off his duff and find a job? How do we define poverty if a couple can own and drive two cars and get significant financial aid? But Kish, as is usually the case, asked the most pertinent question of all: why would this woman write this story in the first place? If she’s as embarrassed as she claims to be, why not keep this sad tale of her struggles to herself rather than publicize her circumstances? Isn’t writing this story just a pathetic cry for attention from some needy person who wants the world to know that yes, she’s had her brush with the common folks? What does it mean to be poor in the United States? How do people who fall below the “poverty line” actually live? What kinds of amenities, if any, do they have? The Heritage Foundation tried to answer these questions in a recent study. Its report notes that, although the Census Bureau consistently reports that more than 30 million Americans live “in poverty,” the Census Bureau does not provide data on the living conditions of people in that category. To try to answer that question, the Heritage Foundation turned to another government study, called the Residential Energy Consumption Survey, conducted by the U.S. Department of Energy. The data from that survey is eye-opening. The Heritage Foundation study found that the vast majority of families whose cash incomes are below the official poverty thresholds enjoy significant amenities. For example, more than 78 percent of those households have air conditioning, more than 65 percent have more than one television set, and more than 63 percent have cable television. Indeed, nearly one third of those households have more than two televisions and almost 30 percent have a video game system. The report highlights the disconnect between what many Americans view as true poverty and how our government defines poverty. I doubt if many people would consider a family with air conditioning, multiple television sets, cable TV, and a video game system to be impoverished. In fact, most of us over a certain age grew up in households without such amenities, and we certainly didn’t consider our families to be poor or needing help. I understand that the standards defining poverty will change over time. However, the Heritage Foundation report suggests that the government should reexamine income cutoffs that treat people with air conditioning, multiple TVs, and video game consoles as impoverished. Government programs and assistance should be reserved for the truly needy — not for people who are simply lacking the latest version of a Nintendo game system.